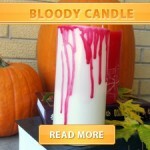 •Light a red candle and let it drip down onto the top and sides of the white candle. 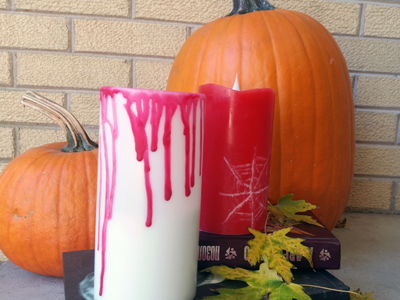 • If you are using a red crayon, just hold it over the edge of the white candle. Using the hair dryer blow the air downwards.